"On Page Optimization" - so that one's website is optimally used. Ensure fresh content is essential. Even if you do not maintain traditional blog - get an editorial calendar and write down at least once a month, a website with a post-own address. Choose a heading has the chance to be ergooglet. As more and more website owners use content management systems such as Joomla or WordPress, this should not be a problem. Link to your website from Twitter, Facebook and other social networks. This is obviously less exciting when you have a static website and rarely adds new content. But even then you can from time to time in Facebook posts refer to the page - or you can as the "sender" in tweets insert a short URL of your own web address. And of course, there are other social networks like Pinterest, Instagram, Google+ .... you just have to do! Often times comment! Especially comments in major newspapers and blogs are very useful. Not only that by doing this (if you do not specify your web address) get a valuable link - you will also find quite with your comment directly to Google - ideally it would be if you can think of at least once a week a full-bodied constructive comment on a topic that you represent . Please just do not "spam comments" - so that you spoil your reputation. Link Building about online press releases: Press releases are natural for corporations, associations and organizations - why not for you? Take advantage of free press portals - so come sometimes to Google News! Which press portals are currently ranked particularly well is constantly changing. It is recommended that "Google News" to experiment and also to find good current press portals with a few keywords on. With a little practice, according to a press release is created and shipped quickly. All the latest news about your company, you can use - the best of times a month. Email Marketing - so you also find your content! Last but not least - the e-mail newsletter - still the classic traffic generators. Although you may start with a distribution of 20 subscribers, 30 e-mail - a newsletter is always worthwhile. You must of course have the consent of the addressee, and you must ensure that subscribers are able to easily unsubscribe - but even with a BCC (blind copy) e-mail list, you can begin. Short updates on fresh readable content on your site (your blog) are reference reliable traffic supplier. Google Panda was one of the most important updates that we have seen in the Google algorithm in recent years has changed the Search Engine Optimization methodology of many SEO consultants. Google Panda came to light in February 2011 and have since gone out new versions of this famous update to the point that we are now at version 24 of Google Panda and in short we find the 25, probably later this year. This update is not really, as many people think, a Google algorithm update but is actually a filter that is applied to the same, as is the case with Google Penguin, although in the case of updating the Penguin filter is intended to techniques of artificial link building. 2. Have duplicate content (copied from elsewhere on the web). We have seen many cases of sites being penalized even the original authors of the articles simply because others have copied the article as is and Google has failed to distinguish the original author. 3. Posen low quality content. Understood as little originality content that does not attract any interest to people and / or fill is written exclusively for keywords. In this way the websites they met any of the 3 previous points were clearly disadvantaged in their search engine optimization and many suffered serious consequences because of the content by Google Panda. In the SEO game, content is still king - UNIQUE content, that is. If you want your site to gain Search Engine Optimisation, original service, part informative, and reader friendly articles is always the best choice. Like many other fast solutions used by website owners rush to get their ranking up, duplicate content is backfiring (big time). This is because search engines are becoming more intelligent - they can now differentiate the real deal of copiers. Google, for example, can tell if a site is duplicating his malice pages to manipulate search engine rankings or mislead users. If you copy the contents of another Web site or publish your own content into multiple pages, your site may be penalized. Its ranking will go down (at least), or worse, it may be banned. In addition to making your site "desirable" for the search engines, unique content can also market your website and you tons of traffic. 1. Enjoy free article directories that allow you to place a link on your site in exchange for a single item that you contribute. 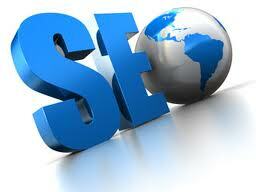 These sites usually have high page ranks and getting an inbound link them never hurts. In addition, users who come across items that you contribute to this site may click on the link in your site gain significant traffic. 2. Writing your own unique content makes your website credible - if you do it often enough and really put a lot of research on what you write, (a) you position yourself as an "expert" in your specific area and gain (b ) a faithful readership. 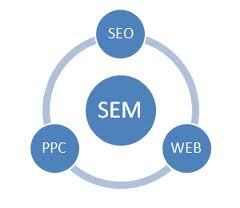 Users search pages and pages looking for reliable information - give it to them and they will come back for more. 3. Webmasters websites rank high love content, unique informative. They are more likely to link to your site and even encouraged others if they see that your articles are not plagiarized and are very useful for their readers. 4. Do you want to avoid prosecution? Can not plagiarize. If you duplicate items from other sites without permission of the original author, you may face costly trial copyright infringement. Matt Cutts had announced Friday, March 15, some webmasters confirm that the update Panda (25) would be gone this weekend. This is the last official day as Google has announced that Panda will now be integrated directly by the engine algorithm for an update. The announcement comes just days after the announcement of the next filter punishing ecommerce sites. Panda invisible, it means what? Integrated into the Google Panda algorithm, it first involves a loss of visibility for SEOs when changing positions in the SERPs of Google .. Difficult to say with certainty that a penalty is due to a filter if you do not have the dates of launches. This means above all in case of loss of position, it will be harder to find the cause and correct it. It seems logical that Google integrates its Panda algorithm. If he had not, it would simply mean that it is a secondary filter, the reduced importance. The integration in the algorithm also strengthens psychosis related to the beast, to hover continuously sword of Damocles over Search Engine Optimization. Panda that is added to the Google algorithm also goes in the direction of the engine about the authors. A skilled writer, who publishes regularly will always be more likely to dodge the blows of bamboo. This integration of the Panda algorithm recalls the already distant time when the engine was its updates occasionally, during the famous Google Dance. When the Dance became constant, it has forced SEO professionals to change their habits to improve the quality of their sites. The shadow of the Panda algorithm should again push webmasters to monitor the content of their sites. For SEO, the main advantage of a continuous updating of the Google Panda algorithm and is able to perform tests quickly, without waiting for the monthly update. Obviously, in case of sanction, it also allows to find its position more quickly. The logical extension of this is that Google integrates Penguin in its algorithm. As for Panda, it means that the engine gives out any confidence in this filter. And he has a real role to play in positioning. When conventional techniques of Search Engine Optimisation confessed their limits, we must ask the question of creating traffic to your site in a different way. They are called affiliation, social networks or adding editorial content, these techniques are mastered by referencing pole ENJOY LIFE! The marketing approach is essential, your corporate website, your online store is not just software tools but advanced your online communication and your business positions. The principle is simple. I insert a banner on a website and I pays the host site each time a user clicks on it to get to my site ... implementation can sometimes be more difficult because it must be able to identify the "good" sites capable of generating qualified traffic may become a pool of potential customers. The role of your service is set up with the right targets, selecting the right media, create attractive banners and offer a reliable and objective analysis of the results. 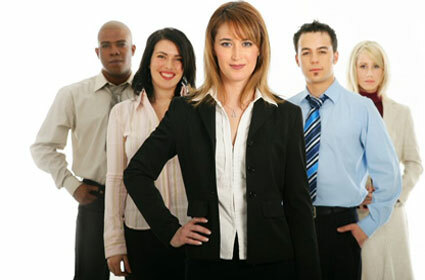 They are fashionable and are becoming increasingly important in online communication and trade. The best known of them are Facebook, Viadeo and LinkedIn and all those who "have" online have their wall and share a lot of information, creating a dense network on the web, generating many links. Others chose Twitter to publicize all the essential ideas they want to share! We manufacture according to your lines of communication, the tools to optimize the publication of information on Facebook or Twitter ... and if you have more original ideas, we study the feasibility with you before making a specific development. We can not say enough, the search engines feed on words! Create editorial content and publish it on good sites may be paid if the targets were well chosen and if the contents are up to. Then, the links will do the rest and you will get targeted traffic interested in the content of your communication. An old technique should not be overlooked. It is certainly not without its faults, as the proliferation of spam barriers, the difficulty of finding reliable databases of emails and especially the proliferation of messages not complying with the rules. Submitting to directories is an essential element of a successful Search Engine Optimization campaign: Links generated not only participate in your popularity with engines, but also generate direct traffic, often of good quality. Heal your site: Any interest in a directory publisher a little bit serious reference sites unfinished, that do not work or display five popups? A book worthy of the name is not a link farm, but a collection of resources. Also ask yourself whether your site adds value to users of the directory. Target your submissions: No need to submit your site riad in Marrakech to a directory specializing in the sights of the Nord-Pas de Calais region, you are wasting your time and losing publishers to make the book. Also, save time for publishers making the effort to submit your website in the most relevant category of the directory, not the root. Keep in mind that the more you facilitate the work of the editors, the higher your site will likely be accepted. Treat your titles and descriptions: There is nothing more painful for a publisher than having to rewrite a title or description. Avoid keywords in the title, which should take the name of the site. Write a true sentence presentation site with subject, verb and complement, not a series of keywords. Avoid superlatives ("the best") and incentives to visit. Simply describe your site, its content, its specificity, its functionality.